About 90 percent of facilities at Jinshan City Beach were destroyed by wind and rain brought by Typhoon Yagi. 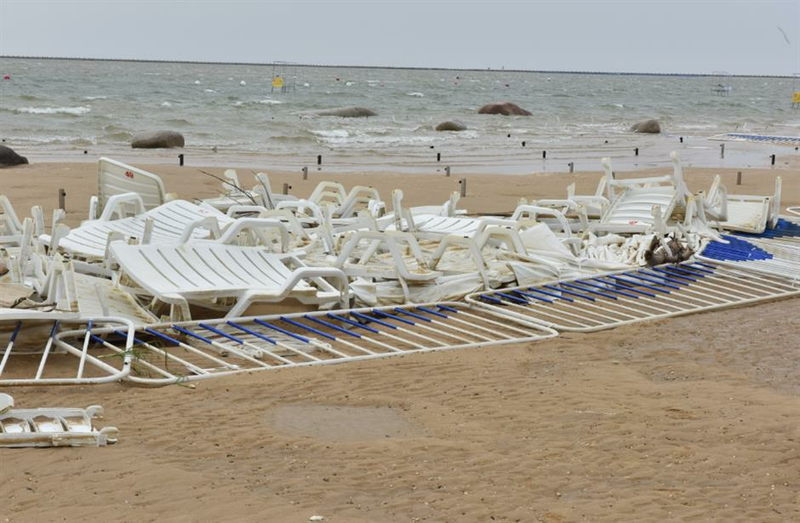 About 90 percent of facilities at Jinshan City Beach were destroyed by wind and rain brought by Typhoon Yagi, according to its operators. The park is closed until further notice as workers assess the losses and repair damaged areas. On Monday afternoon, areas around the beach were inundated by sea water that had run over its levees. A beach worker described the sand as littered with rubbish brought in by the raging surf. City Beach was a mess after typhoon Yagi on Monday.